Don't be deterred by the lack of Patti LaBelle sweet potato pie this season. Trends come and go, but even evergreen dishes can become a fad. Right now, sweet potato pie is having a moment thanks to soul diva Patti LaBelle and a viral video by James Wright Chanel. 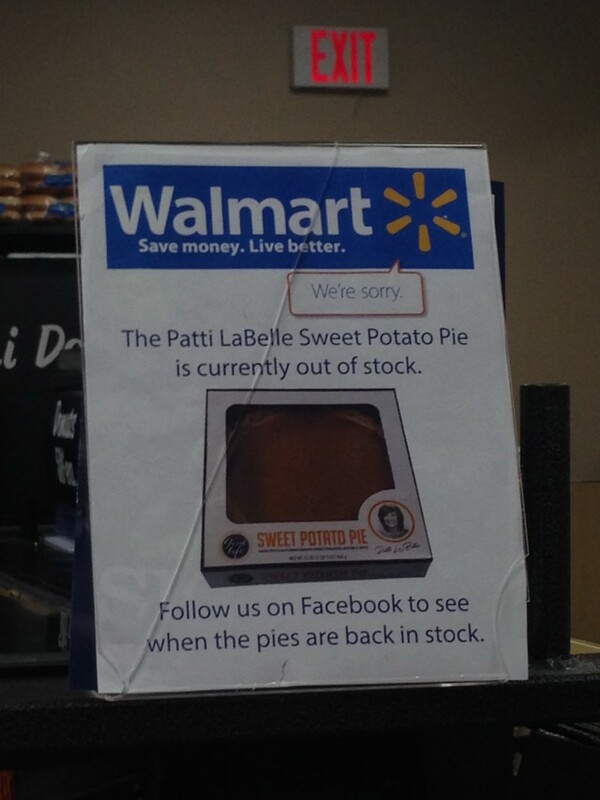 Thanks to Chanel's diva-licious star turn, in which he claimed, "You turn into Patti after eating this," the Walmart-exclusive Patti LaBelle pie has been sold out at many locations. People of Walmart, we do not have your pies. When I saw that sellers were even putting the pies up for bid on eBay, I realized Ms. LaBelle's pies were serious business. And I needed to find out whether I'd be able to belt out Ms. LaBelle’s iconic hits as beautifully as Mr. Chanel did after just one bite. I scoped out the bakery department of the Wal-Mart locale off Yale Street in the Heights, hoping that there was a lone Patti pie just for me. I mean, there had to be at least one Walmart that wasn't completely sold out of this elusive specimen, and maybe it was my lucky day. Before I could even get to the pie section, I spied another shopper being told that this location was indeed sold out of the soulful pastry. We needn't have asked: A sign atop the pie shelf confirmed the bad news. So if you wanted to enjoy Patti LaBelle’s sweet potato pie for Thanksgiving, good luck. Unless you know Ms. LaBelle herself and can request a personally baked pie, it’s not going to happen. 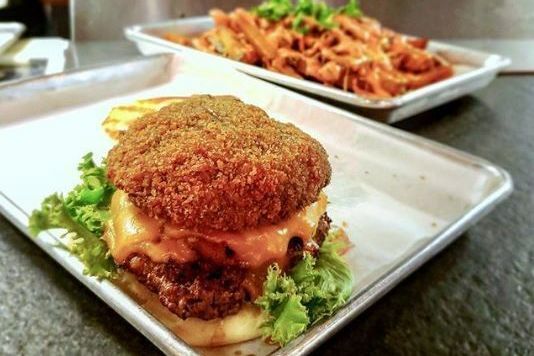 But fortunately Houston is a gastronomic mecca with homestyle southern sensibilities. 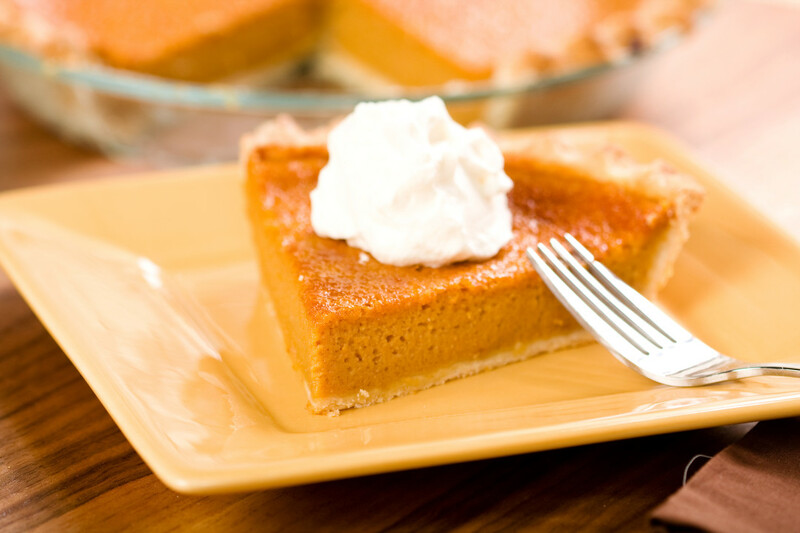 Great sweet potato pie can be found all over the city. 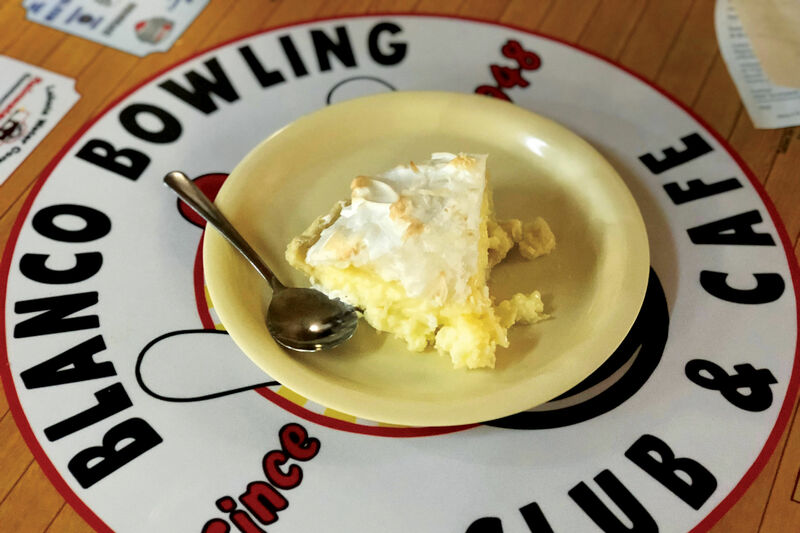 Your hopes of turning into a diva and singing “On My Own” while taking a bite of a Patti LaBelle pie may be dashed, but these varieties from Houston’s own eateries will certainly be a hit at your Thanksgiving feast this year. Just don't expect a celebration as fabulous as James Wright Chanel’s. Houston’s renowned pie shop's version of the Thanksgiving classic is crafted from Louisiana yams and real cream. 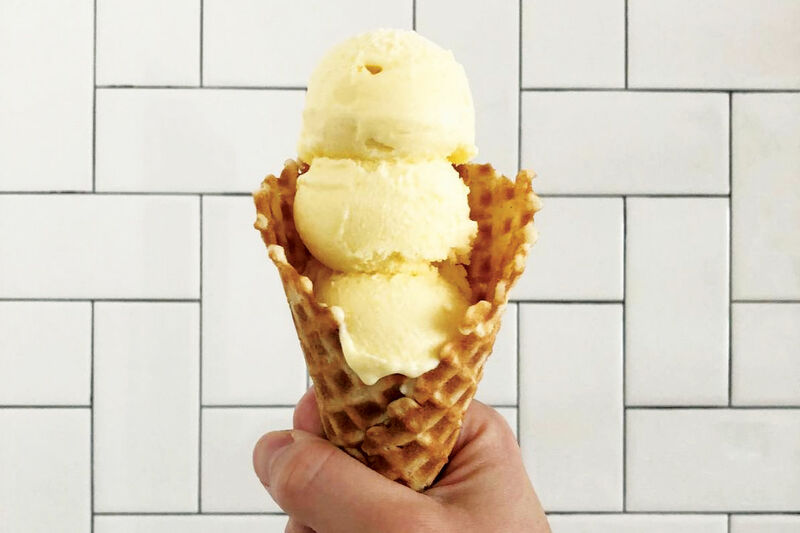 Its two locations on Kirby Drive and Westheimer Road also sell a slew of other seasonal desserts, including pumpkin cheesecake and Dutch apple pie. As the name suggests, this Third Ward bakery has more to entice your sweet tooth than just doughnuts, including phenomenal sweet potato pie. For an unexpected twist, try Not Jus' sweet potato cheesecake topped with toasted vanilla Swiss meringue. Natachee’s is known for juicy burgers and comforting chicken dishes, but its sweet potato pie, finished off with a mountain of whipped cream, is a delectable favorite among diners. 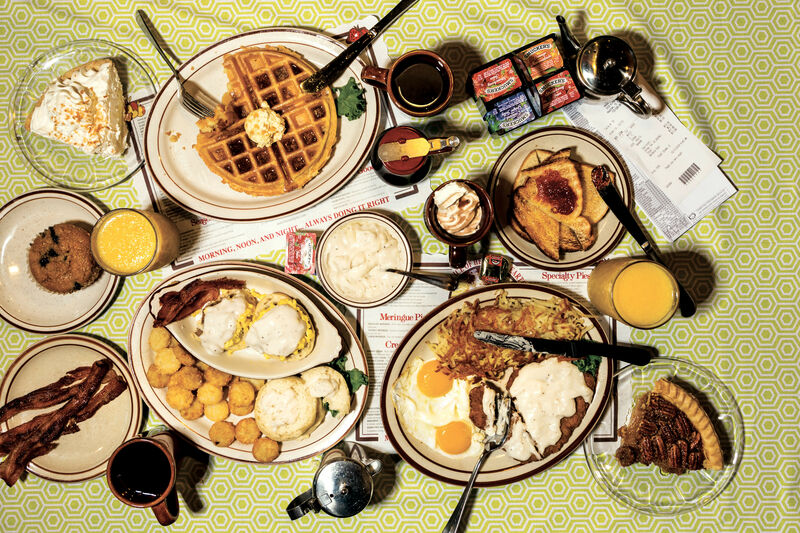 What better place to dig into some classic pie than at a soul food mainstay? Alfreda’s has all the southern staples, like smothered turkey legs and slow-cooked greens. There's not question the sweet potato pie can rival your mom’s.